Uses Used for access to render, paint, plastering, installations etc. 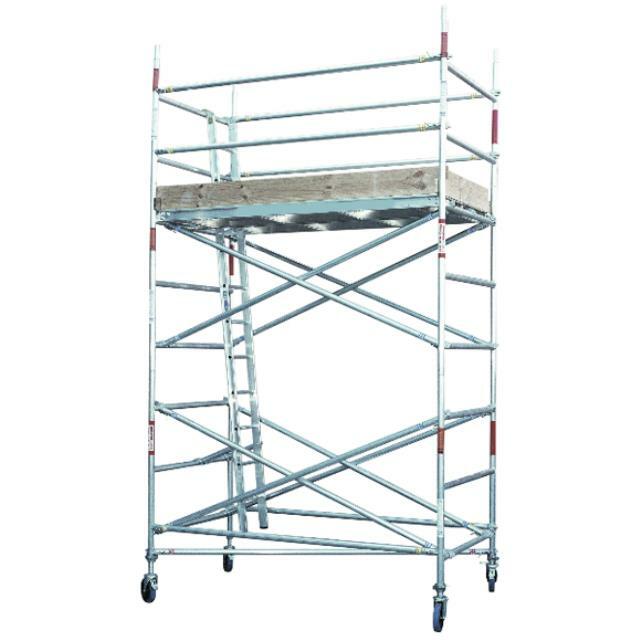 Features No bolt aluminium mobile scaffold is medium duty and allows a distributed loading of 450kg, the aluminium tube used has a wall thickness of 4.7mm, internal ladder provided for access and wheels lock with a brake system, Lightweight. Easy to erect. Setup instructions provided.